No matter which way you look at it Fly Fishing is a journey. Our wayfarers (guides) are experts in this journey and they have devoted theirs lives to fishing, fishing more days in one year than most fish in a decade. Our guide staff has been hand picked not just for their fishing abilities but for the overall experience they will provide you. We can promise copious amounts of laughter, knowledge and fish if you are willing to learn and listen to your guide. I am a Montana transplant, originally from small town in New Hampshire where Fly fishing was a way a life. Our rivers were not as famous as here in Montana but the had way cooler names like the Piscataqua, Nissitissit and Saco to name few. I moved to Montana and attended MSU where I received a degree in community health, met my now amazing wife Ashley and commissioned in the Montana National Guard. Early on in my training during college I realized I would not be happy unless I worked in the fishing industry. I worked at different lodges throughout southwest Montana until I could pursue my dream of having my own operation. Fast forward quite a few years and we have Rowan Fly Fishing a one stop shop Guide service, Lodge and rod company. Beau was born in and started his guiding career in Maine, where he grew up targeting brook trout, landlocked and Atlantic Salmon. I’m 2011 he and his wife Cass relocated to Montana to start a new chapter. Beau started guiding Montana in July 2011. With a degree in outdoor recreational education Beau is great at teaching, as well as working with the most experienced of anglers. There’s always room to improve, and Beau is here to help. 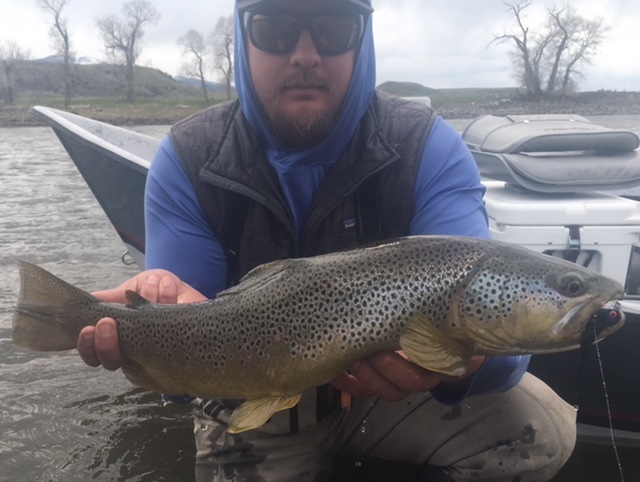 Beau spends over 250 days a year on the Yellowstone, Madison, Big Hole, Jefferson, Missouri, Ruby, Gallatin, Boulder and Stillwater rivers, as well as some spring creeks and ranch properties. Always looking for new adventures and challenges. Beau and Cass are expecting their first born in April 2018 speaking of new adventures!